Live2Lead, the annual worldwide leadership event hosted by John C. Maxwell, is a month and a half away! Taking place on October 6th, the conference will be simulcast live from Atlanta, GA in the Des Moines-area for Central Iowa business owners as well as their executive and leadership teams. Speakers include John C. Maxwell, Dave Ramsey, Cheryl Bachelder and Warrick Dunn. Each speaker is excited to share their own background and perspective on leadership. This month, I am showcasing two of the four world-class leadership experts, Dave Ramsey and Cheryl Bachelder. To learn more about the other speakers, click here and tune in next month. 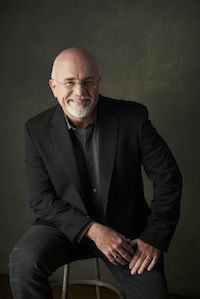 Dave Ramsey is America’s trusted voice on money and business. He is a personal money management expert, a popular national radio personality and has written five New York Times bestselling books. His books and broadcasts advocate a fiscally disciplined approach to personal and household finances, including a strict management of debt. He is also the CEO of Ramsey Solutions. Ramsey started as a young bankrupt husband and father who rebuilt his life. He founded Ramsey Solutions in 1992, as a way to help people one-on-one who were also struggling with financial issues. Today, Ramsey Solutions is an enterprise sharing tools and classes to educate the public on how to reach their financial goals. More than four million customers have gone through his flagship program, Financial Peace University. His audience for the radio show consists of 12 million people weekly. Ramsey runs his business completely debt-free, and has a team of over 550 employees. 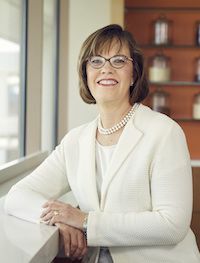 Cheryl Bachelder is a passionate restaurant industry executive and most recently served as CEO of Popeyes Louisiana Kitchen, Inc. She has more than 35 years of experience in brand building, operations, and public-company management at companies like Yum Brands, Domino’s Pizza, RJR Nabisco, The Gillette Company and The Procter & Gamble Company. She served as Popeyes’ CEO from 2007 to 2017, leading to a remarkable turnaround of the company’s financial results with a compelling strategic roadmap for growth, an inspiring purpose and set of principles. At the time that Bachelder was appointed as CEO of Popeyes, guest visits had been declining for years, and its sales and profit trends were negative. The company stock price had dropped from $34 to $13 within 5 years. The brand was stagnant and relations between the company and its franchise owners were strained. Bachelder created a workplace where people were treated with respect and dignity, yet challenged to perform at the highest level. Silos and self were set aside in favor of collaboration and team play. And the results were measured with rigor and discipline. By 2014, average restaurant sales were up 25 percent and profits were up 40 percent. Popeyes’ market share had grown from 14 percent to 21 percent, and the stock price was over $40. Claim your spot at L2L by signing up today! Next month, my blog post will cover the other two speakers at the event, John C. Maxwell and Warrick Dunn. Early Bird pricing is now available. Learn more at http://www.live2leaddesmoines.com/.